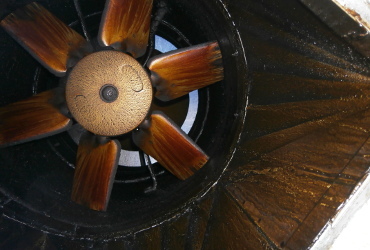 A soiled extraction fan can reduce airflow and efficiency by up to 40% & also be a major fire hazard should the grease on the housing come into contact with the blades during operation. The Unit & housing is sprayed and soaked in chemical (all chemicals used are Bio-degradable and Non-caustic). 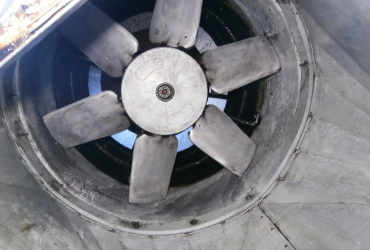 After the cleaning is completed the unit is tested to ensure it is running freely. Formed in 2001, we have over 30 years combined experienced within the cleaning and ventilation industry and now cover the whole of the UK. We offer a free site survey and quotation detailing every aspect of your requirements while also assisting in complying with the ever growing needs of the Insurance Industry, EHO and the FSA. Crown Deepclean are a proactive organisation that keeps up to date with all necessary accreditations with our staff being highly trained to ensure you receive the best possible service.